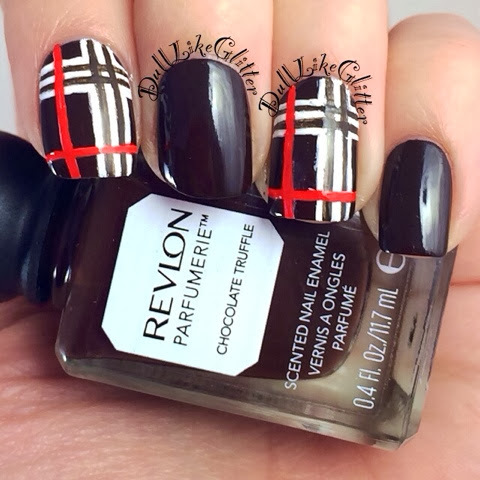 I'm so thrilled to be reviewing Revlon's new collection! This was sent to me for review. Revlon's new collection is called Parfumerie. Each shade of polish is unique in it's shade and scent. Once dry, these shades have complex notes of fruits and florals, sweets and spices or fresh smells. Some of the polish shades have names such as Pink Pineapple, Lavender Soap, Fresh Linen and Autumn Spice. Just the names put my nose on the fritz! I was sent African Tea Rose, China Flower, Italian Leather, Chocolate Truffle, Espresso and Spun Sugar. Many of these shades are perfect for winter natural and neutral shades. African Tea Rose is a Barbie pink with the slightest hint of pink shimmer. It's even hard to see in this photo. I used two coats for full coverage. This pretty pink has a very light floral scent once dried. I had a few questions on Instagram (@DullLikeGlitter) asking if the smell also has polish scent to it. I didn't notice any chemical smells, only the fragrance. This one is clearly and definitely rose but, like most of these polishes it's quite complex and there are definitely other scents in there as well. I'm not much of a pink girl for of course I had to add some brooding black vines as my design. They were hand painted and each are unique. I love doing nail art like this because it's never the same twice. 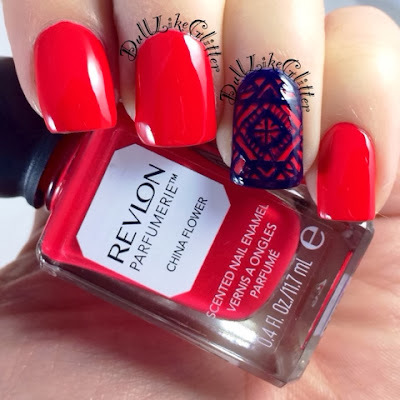 China Flower is a bright coral red that was absolutely flawless in application, formula and color. This polish, like African Tea Rose, has a floral scent that is quite strong. I painted my nails, they dried and I went for the first sniff and immediately said, "Wow! "....even though there was no one else in the room. I added some deep blue tribal to the accent nail for a fun pop. Italian Leather is a beautiful mossy green with lots of golden microglitter. This shade has a beautiful formula and the color is very dramatic. The golden glitter shines in light and can mute in shade brightening and darkening the green overall. The scent to this one is much more musky and seductive than the florals. I was relieved that it wasn't a new car or overwhelmingly leathery smell. I can't stand new car smell. With the musky deep scent, I actually found that I really liked it. Chocolate Truffle is a deep brown creme. While many of the scents of other shades don't smell precisely like their names this one clearly does. It smells almost like hot chocolate. For this shade I decided to try my first ever plaid design. I like it! I'll have to experiment with plaid again. The darkest of the six, Espresso, is a deep black. This shade was a little thinner than the others needing three coats. Espresso has a deep natural scent almost like mahogany wood. 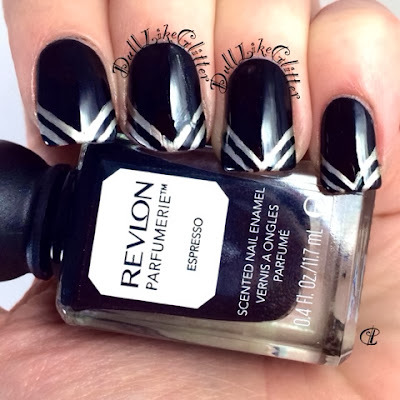 For my design I added some chevron stripes of Revlon's Spun Sugar. 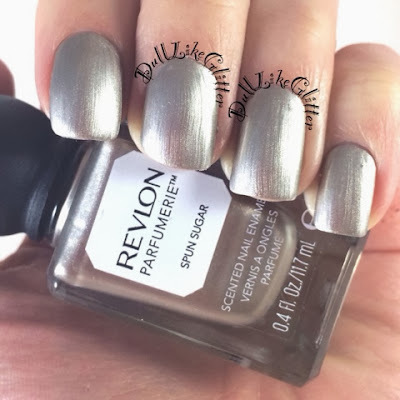 Spun Sugar is a metallic silver. When I first received the bottle it almost looks a bit champagne. I used two coats for full application. This polish scent smells like sweet evergreens! It's very festive and fun. The finish to this polish was a bit streaky. Overall, this collection is really fun. The scents are very complex and will knock any scented polish you've tried before out of the water. Revlon was amazing enough to give me a second set of these six polishes to give away on my Instagram! 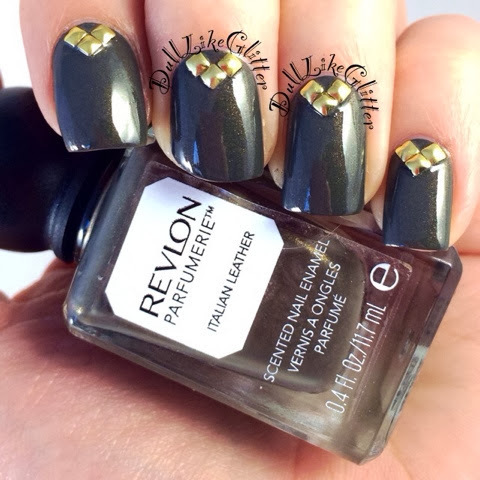 To enter follow me on Instagram @DullLikeGlitter or check out the hastag #revlonwinner for details. The giveaway ends on 1/13 so you still have a few more days to enter! You could simply go to a store and get some scent. In any case, making your own particular aroma out of normal fragrances will give you a more prominent comprehension of how aromas impact your mind-set and give a considerable measure of delight all the while. Aroma has a capable mental impact. Utilizing that impact is all piece of the perfumer's specialty น้ำหอมในรถ.